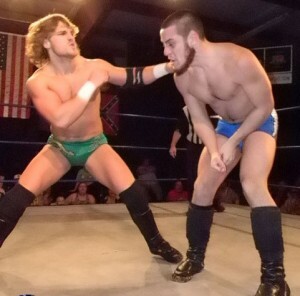 Held at the CWF Mid-Atlantic Anniversary event, “The Road to Battlecade XII”, on 12-01-2012. The biggest loser at Ultimate Survivor 2012 was undeniably Television Champ Trevor Lee who was beaten in the final fall of Ultimate Jeopardy and as a result had his hair shaved. Trevor will defend the Television Title on December 1st against the returning former Mid-Atlantic Heavyweight Champion but who knows where his head is at since Survivor?! Will the former Heavyweight and Tag-Team Champion Page score the “triple crown” and capture the TV Title or will Trevor rebound from his ultimate humiliation?! Copyright © 2019 CWF247 OnDemand. All rights reserved.